Craster parish incorporates the villages of Craster and Dunstan and outlying farms and houses. It has a population of some 350 residents, which is increased during the holiday season by visitors occupying the many 'self catering' houses in the area. 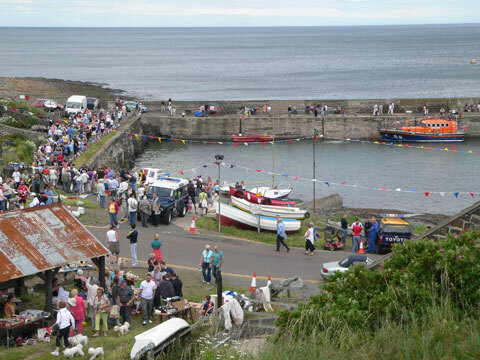 Craster is a lively place, where local churches and a diverse range of groups and clubs play an active role in the community.The Craster Memorial Hall is a strong focus in the village, playing host to many social activities, including the 'drop in' session held every Saturday morning, the WI, arts group sessions and meetings of the Local History Group.